When it comes to Canadian tech startups, Toronto gets all the attention. And that’s for a reason. After all, Toronto’s startups are solving some very real issues, churning out innovative startups like Sojourn Labs’ electric car-bike vehicle and Spinesonics Medical’s ultrasound device for spinal surgeons. Last December, the Ontario government teamed up with Cisco Canada to invest up to $4 billion in Toronto’s tech sector over the next 10 years. But Montreal has a growing technology scene of its own, fueled by a mature financial sector and established industries such as aerospace, engineering, telecom, film and tourism. And venture capital funds in Canada are growing quickly to support these booming startups. In 2013, a total of $588 million was invested in Québec’s venture capital market, up 46 percent from 2012 and the highest amount since 2007. 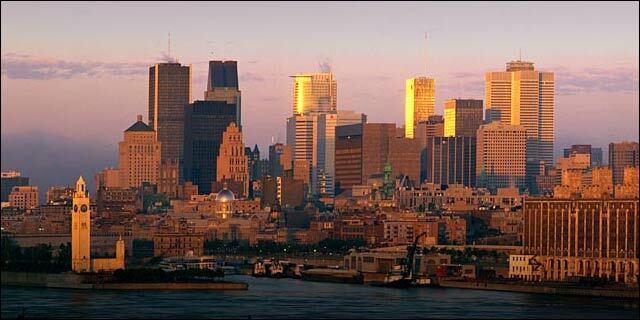 We chose Montreal as our home for Lavasoft, and we’re growing our footprint in the city. I am personally an investor in Montreal Startup, Real Ventures and Founder Fuel. These incubators provide funding to (mostly) Montreal-based businesses at different stages. BusBud – Busbud is a mobile app and platform that connects passengers to bus operators, allowing users to search, compare and book city-to-city bus tickets to and from any location. The app sources bus schedules and tickets from all over the world, currently over 10,000 cities in 89 countries, available for 10 languages and 15 currencies. Busbud was developed by Montreal natives and travel lovers LP Maurice, Mike Gradek and Frederic Thoulin to simplify international bus travel, breaking it down to only reliable schedules and routes. This small Montreal startup is gaining big attention – in July, the company closed a $9 million round of Series A funding. Frank & Oak – Frank & Oak believes in delivering quality to its customers. The online menswear retailer and subscription service startup offers members a limited feed of quality clothes and accessories through a simple, integrated and highly personalized shopping experience. Just over two years old, the brand has seen tremendous growth. Within the last year, Frank & Oak has surpassed 1 million members and has begun experimenting with brick-and-mortar options. In September, the e-retailer closed a $15 million round of Series B funding led by Goodwater Capital. Seevibes – Founded in 2011, Seevibes is an industry leader in measuring social TV audiences. The company provides data from viewers’ posts on social media about their favorite TV shows to help broadcasters, producers and advertisers improve social media campaigns and grow advertising revenue. Most recently, Seevibes received $1 million in seed funding in May. reelyActive – Smart homes and other smart spaces may have once seemed like science fiction, but these ideas are becoming more tangible every day. reelyActive enables smart spaces by providing the technology necessary to make computers contextually aware of their surroundings – identifying and locating people and objects within a space. Last year, the company was named the “World’s Best Startup” at Startup World 2013. OMSignal – OMSignal manufactures bio-sensing shirts that connect heart rate, breathing and activity data to users’ smartphones and tablets in real time. The company’s goal is to bring personal wellness to the forefront of consumers’ daily lives in a fun and creative way. In June, OMSignal closed $10 million in Series A funding and continues to attract top leaders to its advisory board and board of directors, including executives from Oakley and Fextronics. What other Montreal startups do you have your eye on? Let me know in the comments below. Daniel Assouline is a Montreal native and CEO of Lavasoft, makers of Ad-Aware, the world’s No. 1 free antivirus software. Founded in 1999, Lavasoft is the original anti-malware company, creating award-winning, free security and privacy software. Born of the belief that online security should be available to everyone, Lavasoft offers millions of users maximum protection for their computers and online identities. With close to 500 million downloads, its flagship product Ad-Aware has blocked and removed billions of threats, saving consumers from all forms of attacks and malware – including viruses, spyware, adware, phishing and drive-by downloads. Lavasoft is a global company with operations in North America and Europe.